Resin 8 Ball Pool Gauntlet Tower Trophies. Available in 3 sizes, 160mm, 180mm and 210mm high. 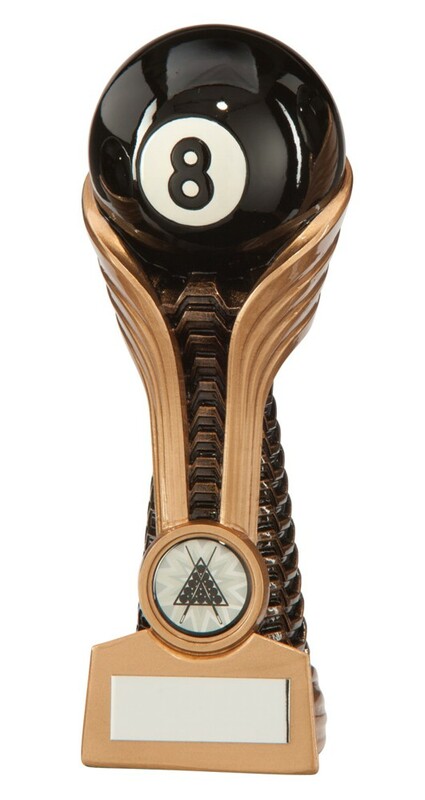 Antique bronze with gold detail and a black 8 ball.